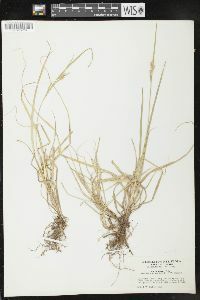 Culms 10-40(-70) cm. 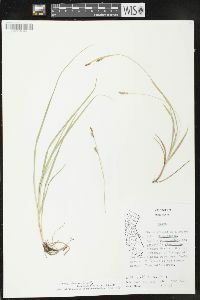 Leaves: blades 5-20(-1.5-25) cm × 2-3(-3.7) mm. 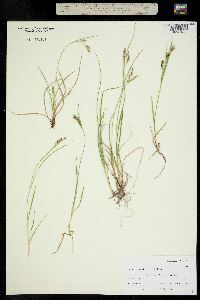 Inflorescences: proximal bracts with well-developed blades exceeding inflorescences, sheaths to 10 mm, rarely in dwarf alpine plants with bracts scalelike, sheathless; lateral spikes with (3-) 10-30 flowers, approximate or proximal distant, dense to somewhat lax, (4-)10-23 × 3-5 mm; middle internodes 0.5-1 mm; terminal spike usually staminate, occasionally gynecandrous, sessile or short-pedunculate, 6-18 mm, (1.8-)2-3.5 mm wide in staminate portion. 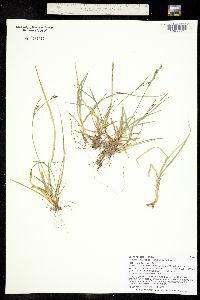 Pistillate scales ascending, pale brown to medium brown with paler center, ovate to ovate-circular, 2-3.2 × 1.2-2 mm, apex obtuse to acuminate, often mucronate to aristate. 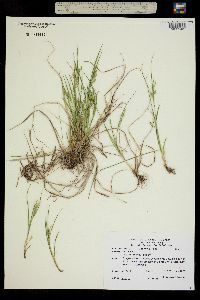 Proximal staminate scales pale brown with paler midvein and hyaline margins, oblong-obovate, 3-6(-15) mm, apex obtuse to long-acuminate. 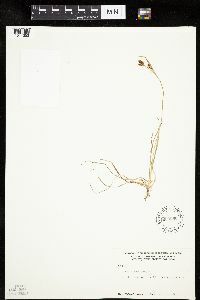 Perigynia ascending, whitish, elliptic-obovate, (2.1-)2.3-3.1 × 1.2-1.9 mm, densely papillose. 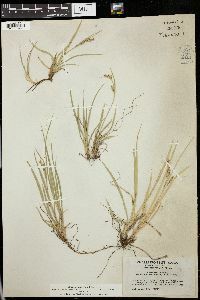 Achenes elliptic-circular, 1.2-2 × 1.1-1.5 mm. 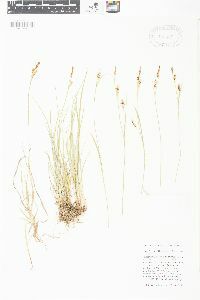 Fruiting summer. 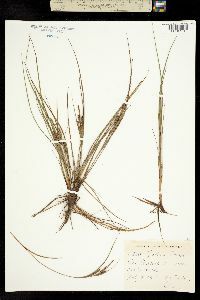 Meadows; 1000-3000 m; B.C. 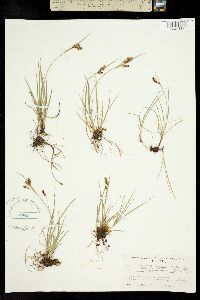 ; Ariz., Calif., Nev., Oreg., Utah, Wash., Mexico (Baja California). 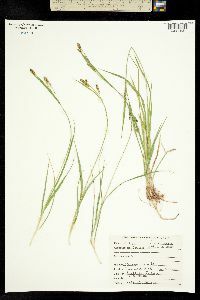 Carex hassei probably occurs in Colorado. 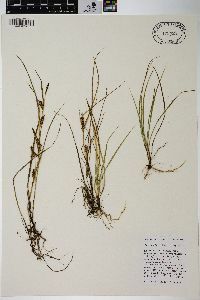 K. K. Mackenzie (1931-1935, parts 2-3, pp. 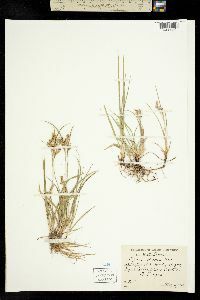 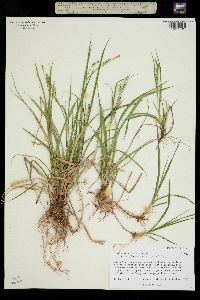 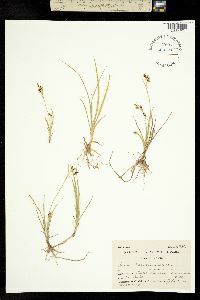 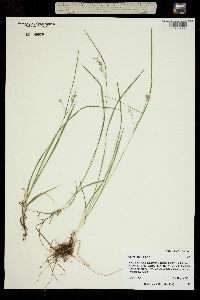 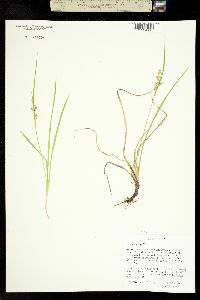 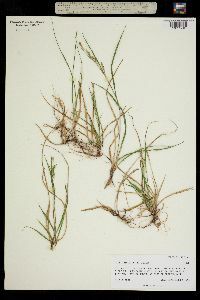 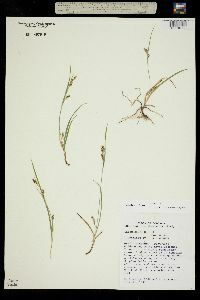 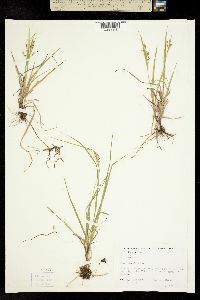 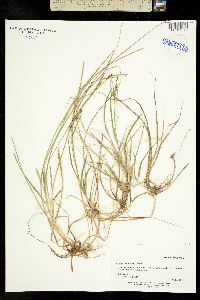 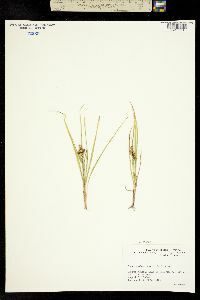 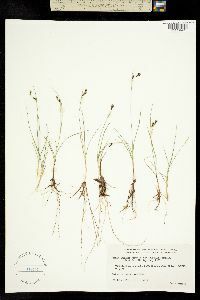 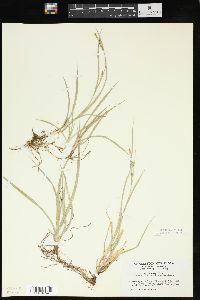 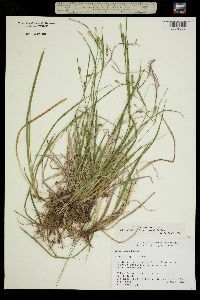 233-234) combined Carex hassei with C. garberi; a number of characteristics distinguish the two, though none gives an absolute separation. 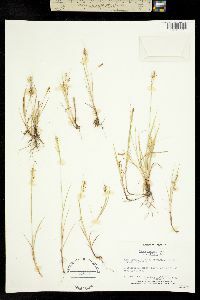 Eastern floras recognise C. garberi as a distinct species; recent western floras do not distinguish the two and some treat both as synonyms of C. aurea. 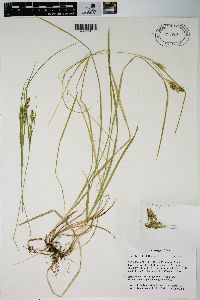 Much western material of C. garberi has been determined as C. hassei; much material of C. hassei has in turn been determined as C. aurea. 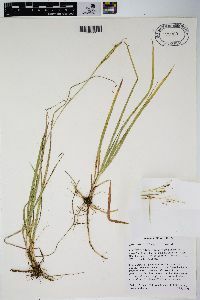 The two species are for the most part allopatric with an area of overlap in the northwestern United States and especially Oregon and Washington, where many of the populations show various combinations of the characters of C. aurea, C. hassei, and C. garberi. 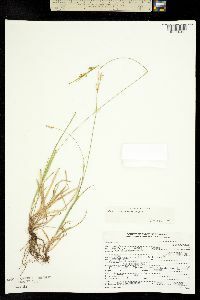 The eastern limits of the distribution of Carex hassei are unclear. 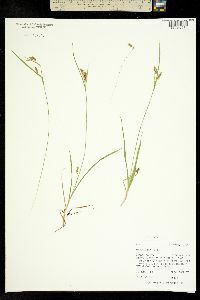 It appears to be very uncommon in the eastern part of its range, where it has been confused with C. aurea. 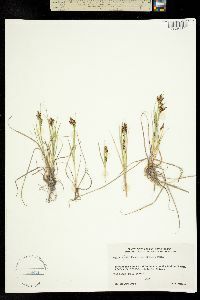 Most specimens from that area were collected too early in the season for the distinctive fruit characteristics to have developed, so they are difficult to determine with certainty.